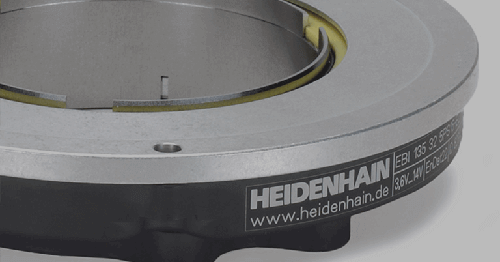 HEIDENHAIN’s IK 5000 QUADRA-CHEK serves as the metrology and motor control system in a video measurement machine (VMM) that is currently inspecting extremely thin film solar panels on flexible plastic substrates? These flexible solar panels, inspected on an Acu-Gage Systems (New Hampshire) VMM, can be used in a myriad of applications such as on backpacks/travel gear, siding for houses and retractable awnings, providing a source of transportable, renewable energy. 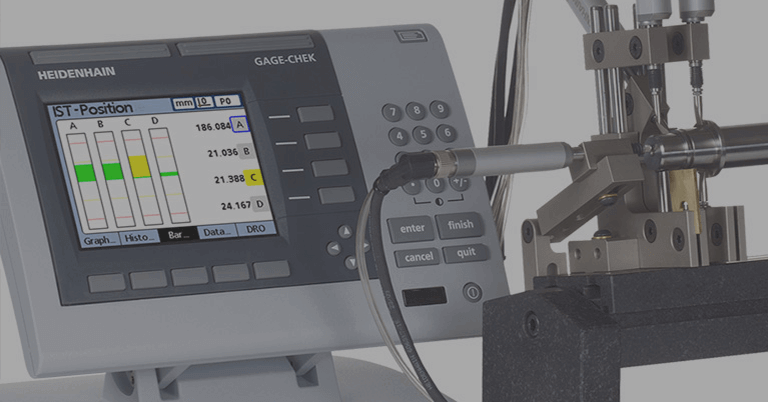 This Acu-Gage video measuring machine is a 24”x24” model (Model AG243) offering measurement in three axes. 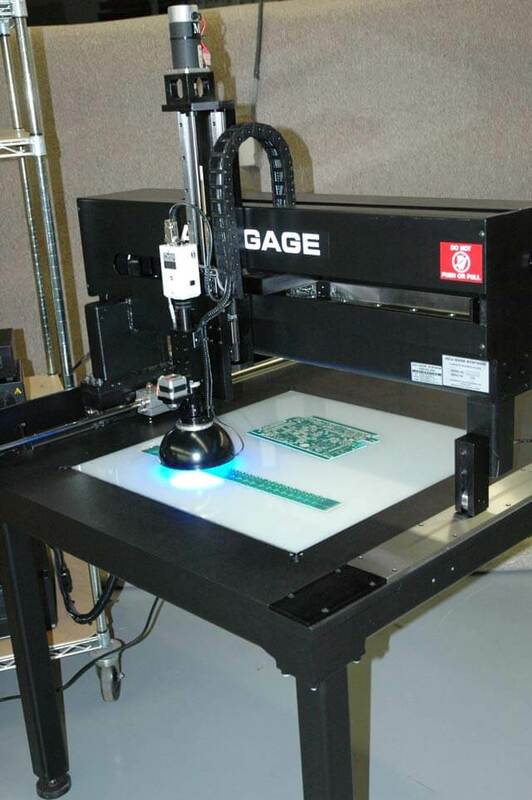 “This Acu-Gage system is responsible for assisting in the thin solar panel manufacturing process to control the spacing, optimization, and inspection of the straightness of the laser scribe lines and traces that are etched on the panels,” explained Jack Kane, president of Acu-Gage. “Each of these elements has a direct correlation with the energy that a panel will yield, and with the aid of our system, these solar panels are achieving approximately a 50% increase in the amount of power than initially forecast. 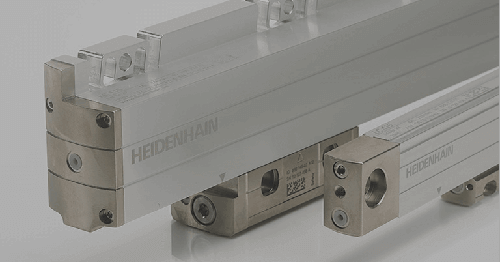 Besides the HEIDENHAIN IK 5000 on this VMM, Acu-Gage also incorporates HEIDENHAIN LIDA 481vpp linear scales on the X, Y and Z axes. 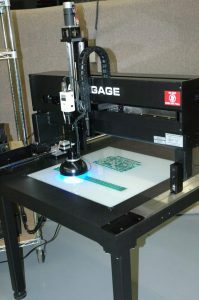 “Those scale resolutions are one-tenth micron, and serve this system well.” The Acu-Gage system has full DCC controls, utilizing CNC motorized motion in X, Y and Z. It has automatic edge detection, programmable zoom, and uses three separate and programmable light sources. All these options are controlled and run on a powerful Windows-based operating system. Operators run fully automatic part inspection programs with little to no human intervention and without physically touching the parts. The system used in the solar panel application is also configured with a custom Z-axis stage and LED lighting option. In this solar panel application, the Acu-Gage System uses automatic edge detection to capture 90 points along a vertical score line. The working magnification is approximately 150X, yielding a sub-micron pixel resolution. The Acu-Gage also incorporates a special LED illuminator to enhance the score line image. This superior image capture helps create “step-and-repeat” inspection programs, providing critical feedback to control the stepping function on laser scribing machines. This same programming technique can also measure trace steps on a solar panel, all of which contributes to manufacturing panels with increased yields. 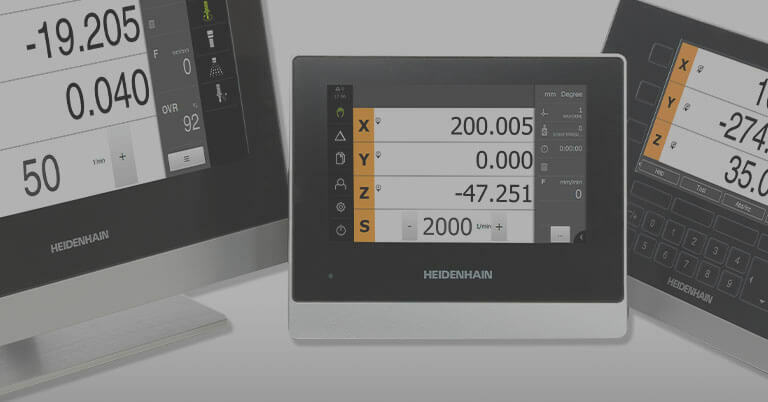 Available to deliver advanced measurement functionality using a PC, HEIDENHAIN’s IK 5000 is a universal solution for 2-D and 3-D measuring tasks. 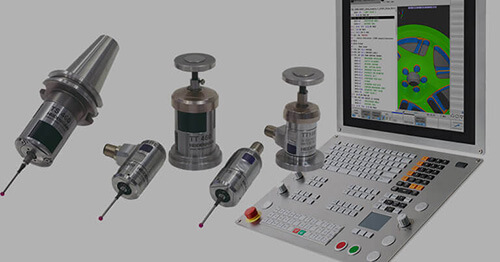 Its sophisticated slot axis card and corresponding metrology PC software is equally suitable for initially installing on a new inspection machine as well as for retrofitting an older one, either way resulting in a powerful measuring solution. The IK 5000 is available in versions for three- or four-axis machines. The expansion ports make it ready for measurement technology applications with a variety of optional functionality choices. 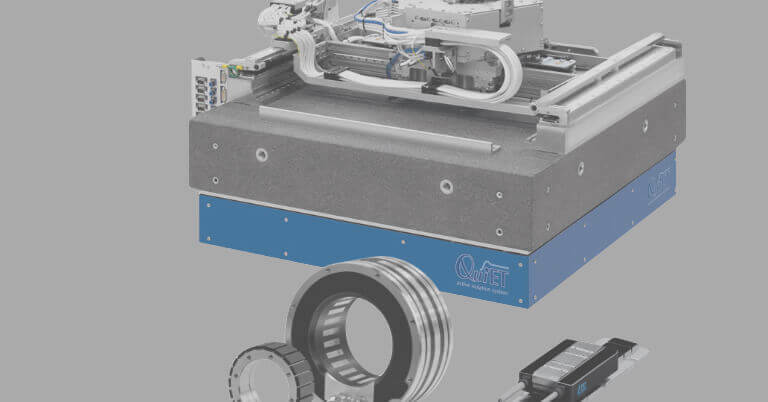 Whether using equipment with a camera for video edge evaluation and options for programmable auto focus, light, and zoom control, to those with an optical edge detector or touch probe, intuitive part programs can be written to decrease the time needed for most inspection tasks. If the machine is equipped with CNC functions, these programs can be completely automatic allowing the operator to place a part down and press a button to start the measuring process. Acu-Gage Systems, a division of Ocean Industries, LLC, has manufactured non-contact CMMs for more than 25 years. Their large format non-contact inspection equipment supports a diverse customer base with cost-efficient quality control systems worldwide. There are over 900 Acu-Gage Systems installed internationally where traceable, precise production measurements are demanded.